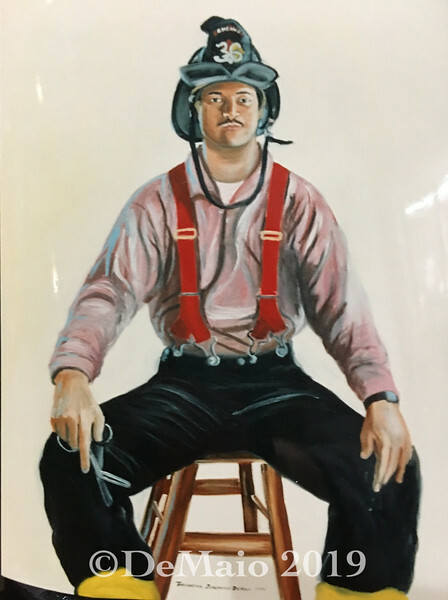 The Fire Fighters Project is a documentation project shaped by a group of artists in San Francisco, CA. The project was created by and is led by Thomasina DeMaio of the ARTSAVESLIVES group. We document fire fighters from the San Francisco Fire Department. The artists include; painters Thomasina DeMaio; photographers Billy Douglas and Steven Pomeroy; drawer Alexander Nowik, with occasion guest artists joining in. The works are exhibited at the Eureka Valley Recreation Center in San Francisco, CA. Shown here are color portraits by Steven Pomeroy and black and white portraits by Billy Douglas, http://www.billydouglas.com.